We will be giving a concert of music. Come listen to the music and to the other sounds. There shall be head banging aplenty. As always, Ishmael is Jordan Lewis ’13, Andy Werle ’12, Nick Otte, and Aaron Silberstein. The show is free as funk, and there are no openers to be had. 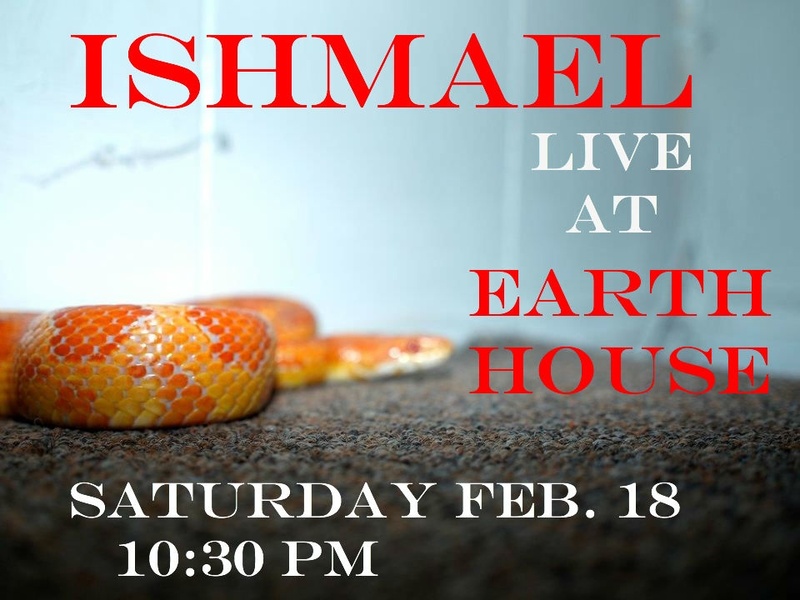 Posted by Zach in Campus Life, Events, Music, Student Groups and tagged Alumni, concert, earth house, ishmael, ishmael the band, Music, prog, program house, program housing, rock, wes bands, wesleyan bands, wesleyan music on February 18, 2012 at 1:57 PM.